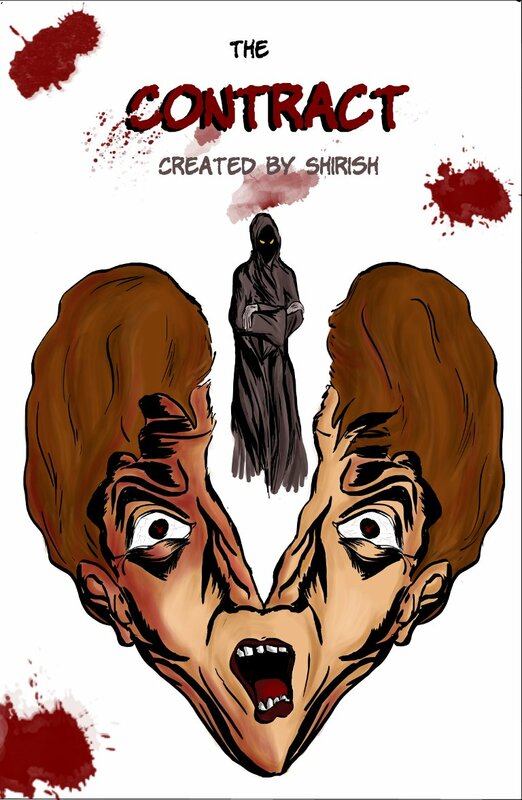 My first independent graphic novel, The Contract has been uploaded on the website www.pothi.com. Pothi.com provides ‘print-on-demand’ service, i.e. the book is printed after it’s ordered, rather than the other way round as in traditional publishing. This graphic novel is intended for mature audience only. Steve is a very ordinary guy, with very ordinary dreams (like reaching his school on time and making out with a hot girl in his class). But one bad day in his life turns his world upside down. Now Steve is out on a suicidal mission of revenge, when he encounters a mysterious being. The mysterious being offers Steve something he had never dreamed before, and which would make his revenge so much sweeter. Steve will go to any lengths to have his revenge. Little does he realize that every dream has a price! The preview below contains pages 1-5 and 12-14. 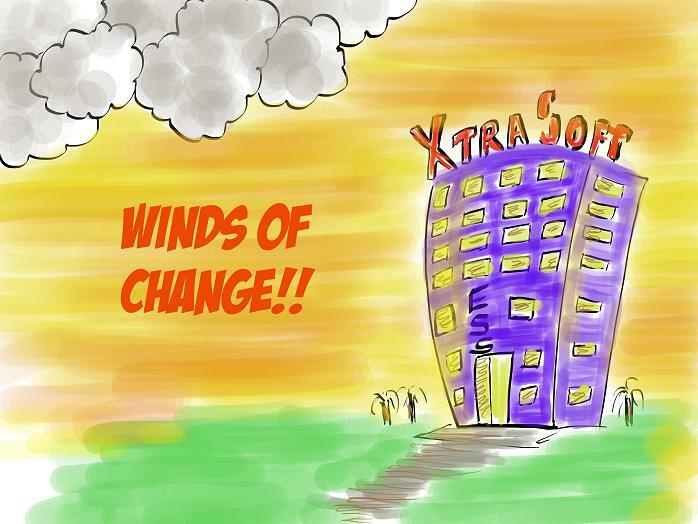 Winds of Change – With a Twist! Nearly one and a quarter year had passed since I had made my last film, What If … A Love Story Gone Wrong. Making What If … was an experience which made me much richer in my film making skills. It also gave me enough confidence to try things out on my own. So when the software company I work for decided to hold an intra-company contest in film making, I was one of the first to jump and take notice. 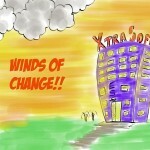 As the themes were announced, one theme – ‘Winds of Change’ attracted me. As I heard the theme, the whole short film literally visualized in front of my eyes. Now it was just a matter of some time (and much effort) to bring it into reality. 2. Stop motion animation using clay models (What If…) – Taking pictures of clay models in various positions, animation style, and then ‘stitching’ the photos together to form a continuous motion. This time I decided to combine the two approaches above. Making a stop motion animation using live actors! Approach 1 above has advantages in terms of smoother motion, but has way too much dependency of live actors and there’s little scope for special effects (I am not an expert user of complex special effects software such as Adobe After Effects – YET). Approach 2 has a lot of scope for special effects (Each frame can be easily edited using a photo editing software), but it’s a lot of hard work, and I mean REAL hard work! The time given was very short, just 10 days (Actually it’s sufficient time if one is not doing anything else, which is not the case with yours truly). I created the entire script in one hour. The ‘script’ was a series of rough drawings, storyboard style. It was my long time dream to shoot a fight sequence parodying ‘The Matrix’ , and I took my opportunity here! We finished the shoot in 6 hours flat on a very hot afternoon, most of the shoot taking place on a very hot terrace. The ‘green screen’ used as background to the fight scenes was in fact a pinkish clothe held together by whoever was not participating in the fight scene. The following pictures compare the 3 versions of photos. The original one, the ‘green screened’ one and the final result with a hand drawn background. After the shoot was over, it took me more that 6 nights (and one entire weekend) to complete the editing (There were 250+ photos to edit!). By the end of editing run, I resembled a Racoon! We submitted the film one day before deadline. The results of the contest are awaited, but I don’t really care. For me, the rush of creative energy is worth more than all the awards!